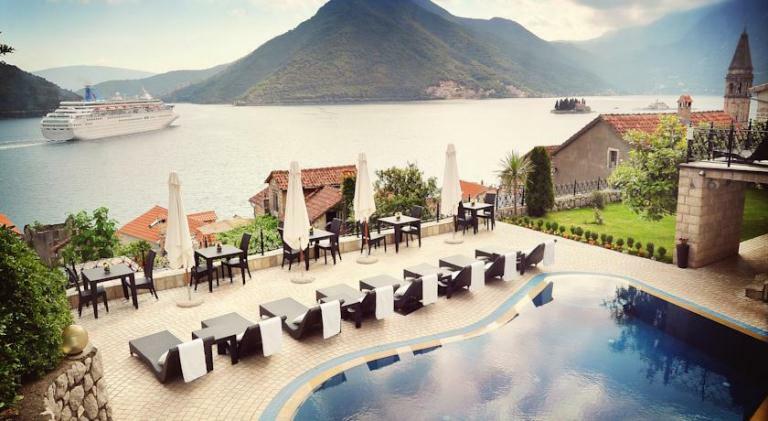 Drop dead gorgeous views, five star luxury, out of the way idyll... find the perfect Montenegro hotels for your stay. 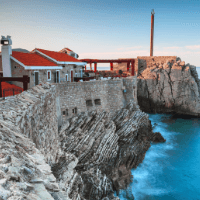 there are Montenegro hotels to suit every traveller. Choose where you want to stay in Montenegro first. The areas of the country are vastly different as you can read about on Coast of Montenegro and Mountains of Montenegro. 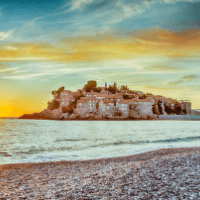 Most people will choose to stay along the coast, with the choice being either the Bay of Kotor, Budva Riviera, Bar or Ulcinj. The coastal regions are excellent for tourists, with plenty to do, good restaurants and of course, beaches! The mountains are more rugged, wild and authentic - ideal for true adventurers and nature-lovers. Staying in Kotor old town means you're in the centre of the action. It's a great place to base yourself if you don't want to hire a car and there are restaurants, museums, galleries and tours on your doorstep. You even have beaches within a 10 minute walk. 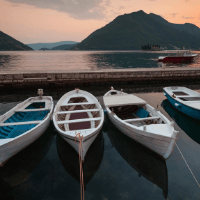 If you love the thought of staying around Kotor, but want somewhere nice and quiet - and with a killer view - the Bay of Kotor is the place for you. You'll be close to the sea, have sea views and still be close to restaurants and shops. 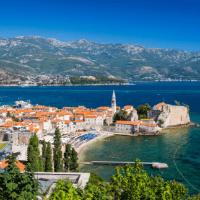 The Budva Riviera is arguably the most popular place to stay in Montenegro. It's got great beaches, lots happening and it's very central. It's also very busy in Budva centre the height of summer. If you're looking for somewhere a little quieter, be sure to stay anywhere along the Riviera that's outside of the town itself. 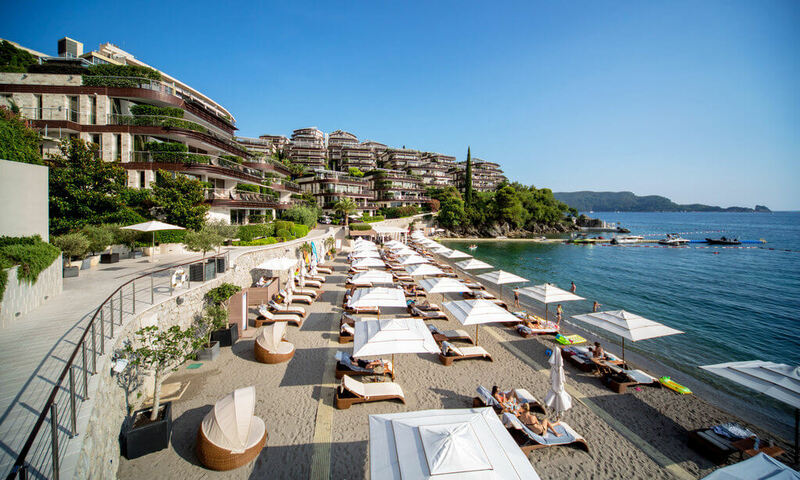 Sveti Stefan is an iconic and sought-after location on the Budva Riviera. It's a must-see tourist attraction, but it's not over-crowded because the tour buses stop on the road above where people can get a good photo of the island. 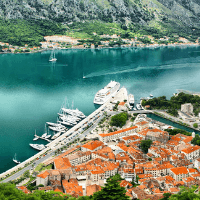 You can find some of Montenegro's best hotels here, but you can also find very well-priced hotels in this 5 star location. Petrovac is a picturesque bay at the end of the Budva Riviera. It has a lovely Mediterranean vibe and a big beach that runs the length of the town. 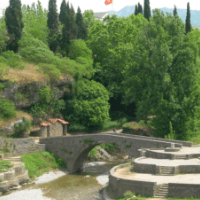 This is a great spot for families and those looking for a small, bustling summer resort. In the last few years Tivat has become one of the most popular places to stay in Montenegro. 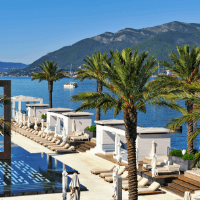 That's mostly thanks to Porto Montenegro, the glittering super yacht marina that's there. 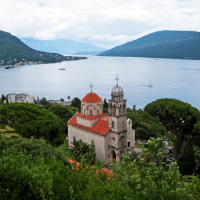 Tivat has other advantages too: it's easy to get around on foot, it's very close to Kotor and Budva and it's just 5 minutes from the airport. Herceg Novi is the town closest to the Croatian border and the entrance to the Bay of Kotor. There's a long seaside promenade with cafes, restaurants and souvenir shops that busy all summer long. The town also has a charming old town and some of the best beaches in the Bay of Kotor. Whether you're just stopping in Bar for a night or you're looking for a longer stay on the coast, Bar has some fantastic hotels and resorts for all budgets. You'll find mid-range hotels in the centre of town and as well as seaside getaways to suit every traveller. 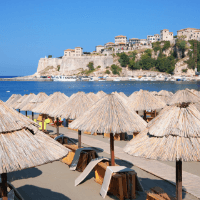 Ulcinj is the southernmost town on the Montenegrin coast. It's got endless sandy beaches as well as rocky ones, kite surfing and an a 2,000 year old old town. If you're looking for an off-the-beaten-track holiday among Balkan locals, you'll definitely want to check out Ulcinj. And if you're a kite-surfing enthusiast or want to learn, this is the place for you. Podgorica is Montenegro's capital city and business centre. Although it's not a touristy city, there are still plenty of things to do there and some fantastic hotels at all price points. 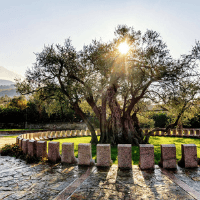 Choose from upmarket business hotels, cosy luxury or family-friendly and explore Podgorica. Enjoy your stay in Montenegro in one of the best hotels in Montenegro. With five star ratings, you'll get top quality rooms, service and facilities. Choose from cosy boutique hotels to large seafront resorts. If you're on a budget, the first place to search for specials on hotel rooms is here on Booking.com's deals finder. Hotels will often have deals on last minute rooms and off-season rooms. You can easily save yourself up to 50% off rooms in hotels, apartments and bed and breakfasts. You'd be surprised the value you can find here on some very nice and unique places to stay. 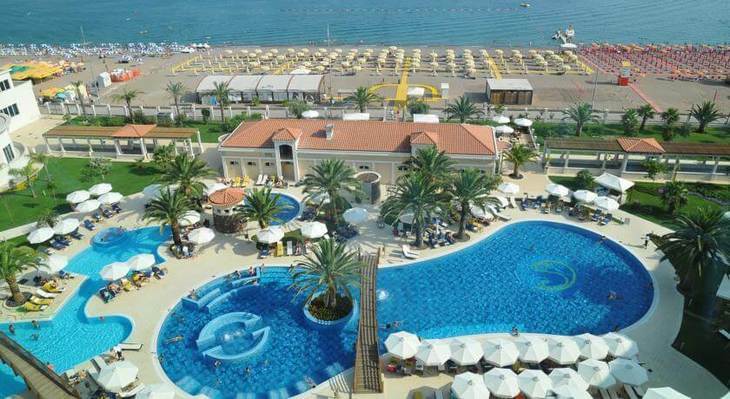 Have you stayed in a great hotel in Montenegro? 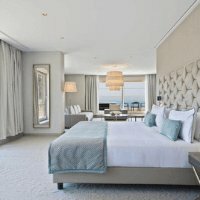 Let other visitors to this page know which hotels you'd recommend in the comments below!